Hardcover, 9.5 x 11.5 in. / 288 pgs / 251 color / 8 bw. Edited with text by Jürgen Schilling. Berlin-based artist Peter Kuckei (born 1938) creates colorful, gestural abstractions, pitted with tactile accumulations of paint, that loosely refer to the contours of landscape and natural spaces. 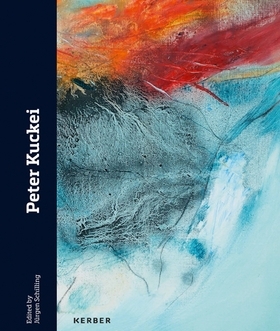 This monograph provides a comprehensive overview of his oeuvre of the past 40-plus years. FORMAT: Hbk, 9.5 x 11.5 in. / 288 pgs / 251 color / 8 b&w.